This is an early preview of the Z launcher, and if you’d like to test it out, sign up for at the app’shome page. On your Android handset, go to Settings > Security and enable installing apps from unknown sources. Visit the app’s download page, grab a copy of the APK, and then install it. 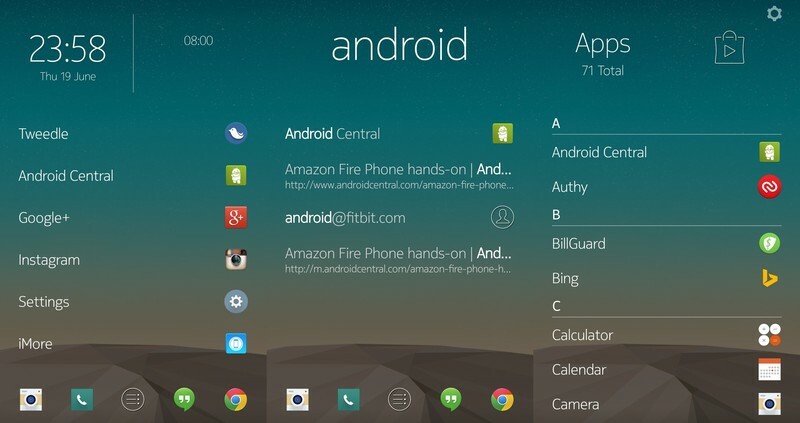 Android: Z Launcher from Nokia brings a couple of great features to Android users. You can access apps using gestures, and see tailored shortcuts depending on the time of day. Z Launcher learns how you use your phone and its apps. Depending on the time of day, your home will automatically display different app and contact shortcuts—you will have to use the launcher for a little while to see the benefits here. You will see one set of icons in the morning, and a different selection in the evening. You just need to give Z Launcher a little time to learn which apps you use at what time of day, and your most frequently used shortcuts will appear when you are likely to need them most. You will notice that you cannot scroll through shortcuts. Instead you draw letters on the screen to filter apps. Draw a “g” and the likes of Google+, Gmail, and Gallery will pop up. Draw another letter to filter further—”gm” will move Gmail to the top of the list, for example. You can access a full scrollable list of apps by clicking the app icon in the dock at the bottom of the screen. It’s worth pointing out that Z Launcher will not run on rooted devices (—but there is a work around. If you are rooted, you will need to install the Xposed framework first and then download the RootCloak module. This module lets you hide the fact that your phone is rooted. Install the module from the Xposed repository, activate it and restart your handset. Launch RootCloak and tap the Add/Remove Apps option. Tap the + button to the upper right, and then tap the Z Launcher (com.nokia.z) entry. Restart your handset and you will be able to use Z Launcher. Bear in mind that Z Launcher is a pre-beta app, so it may not be entirely reliable, and compatibility with your handset is not guaranteed. Give it a try at the link below.